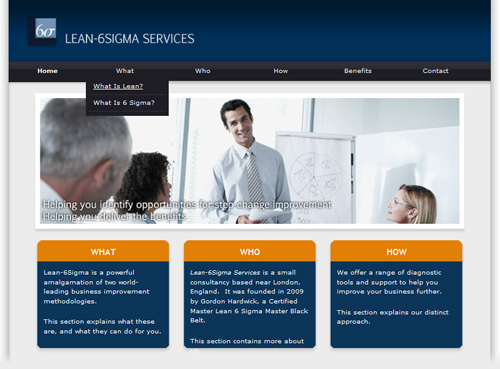 Website designed for new company Lean-6Sigma Services. A simple and clean interface was designed to allow users to quickly find what they are looking for, despite the large number of pages. Drop down navigation menus help keep the page clutter free. The website allows the customer to edit the content themselves through a content management system.